Card orgnaization. Genius. Homemade cake batter. Even more genius. Can I come live with you?? 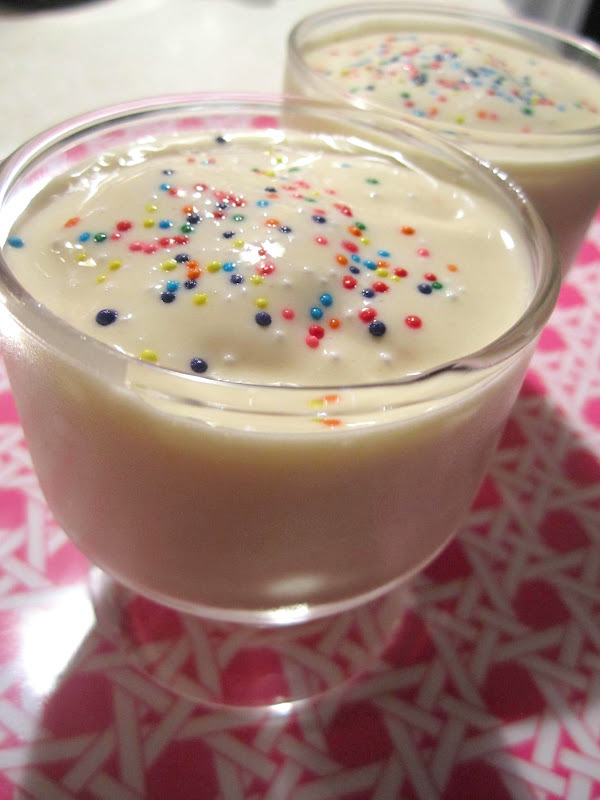 Great trick w/ cake batter - I will have to try that!! Such a great idea. I am always rushing out to get cards! I need to remember to use this trick next time I go to the Dollar Store! Love that you call it dolla dolla. I need to. Heck out their card selection ASAP. Your tips are great! 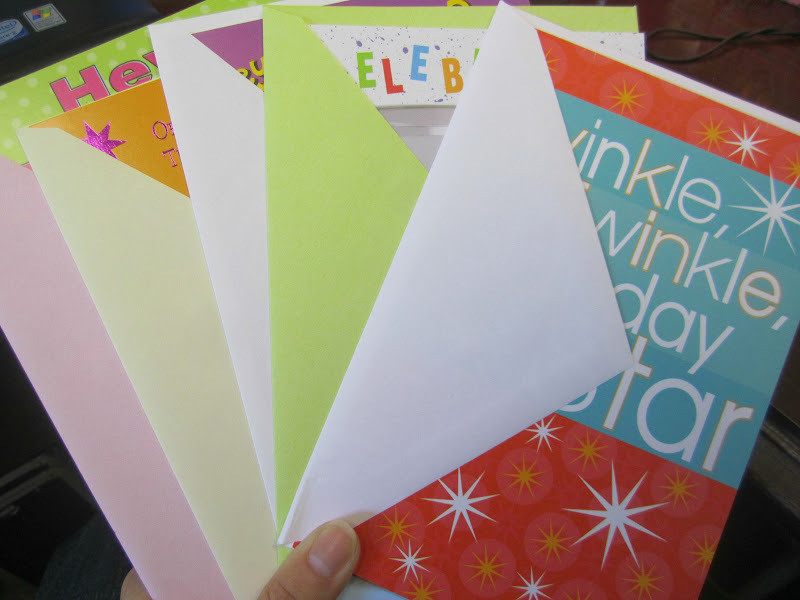 SO smart...I hate to admit it but I am definitely the birthday card delinquent among my friends and family. Never again! This is such a great idea! 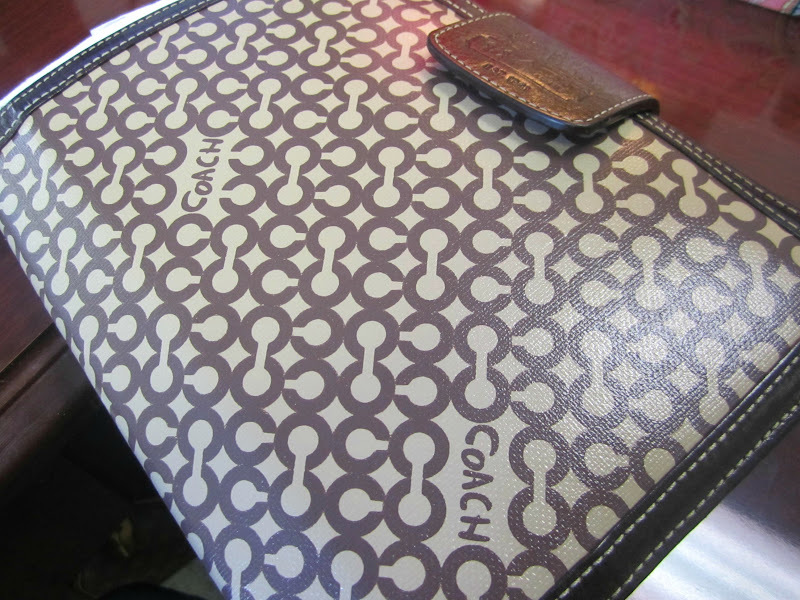 I think my mom actually had something like this a few years ago. I'm way behing on blog reading. I love your new hutch!!! 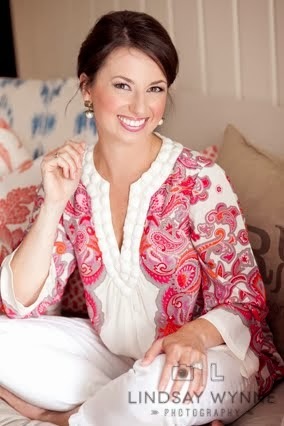 And the maxi skirt you got at old navy--I got a blue and white one at target just like it. Cute!! Great idea! I'm definitely stealing this idea for myself! Also, genius move on the cake batter ice cream! What an awesome blog post. Those organizational details can really add up to some saved time later, so thank you for the wonderful tips! You should start charging for these ideas!! Or start a book, seriously! 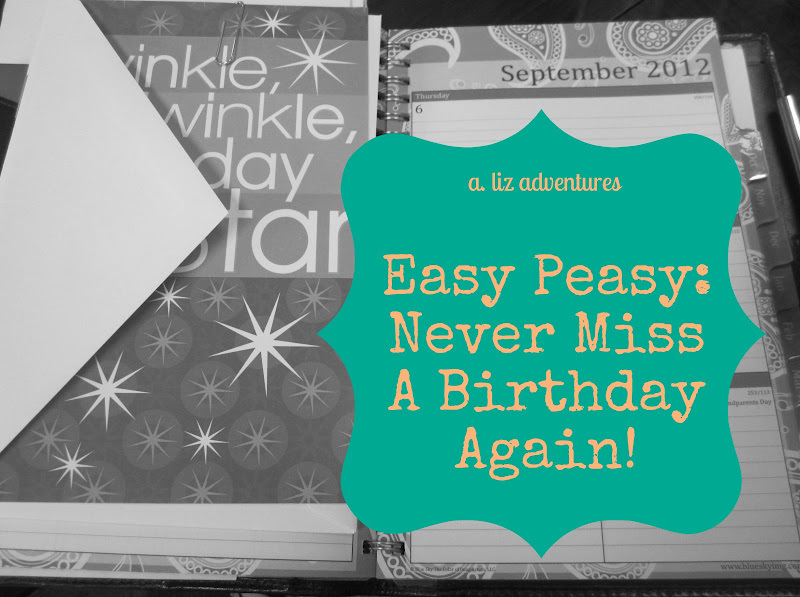 Birthday cards made easy AND cake batter ice cream....?! Genius! what a fabulous idea! Will totally be looking over my birthday calendar now. SHUT THE FRONT DOOR on those cake batter treats! Who would have thought... that's AWESOME! It's pretty sad how excited I am about those. 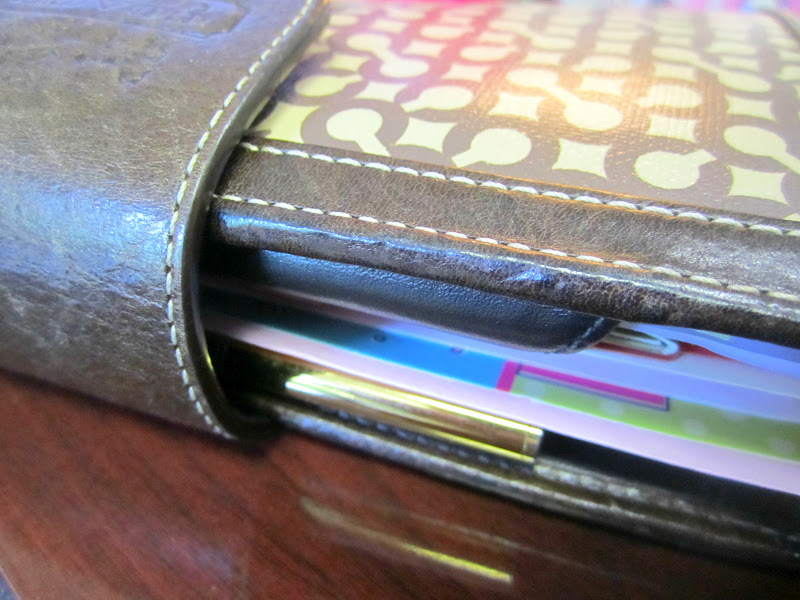 PS-love your organizer! The Birthday card idea...good. The Birthday cake idea...bad, very bad! I'm going to need to make this asap! That is such a good idea!!! :)) New follower! you are so clever, my friend. and holy cow - those lil cake batter ice cream treats look unbelievably delicious!! 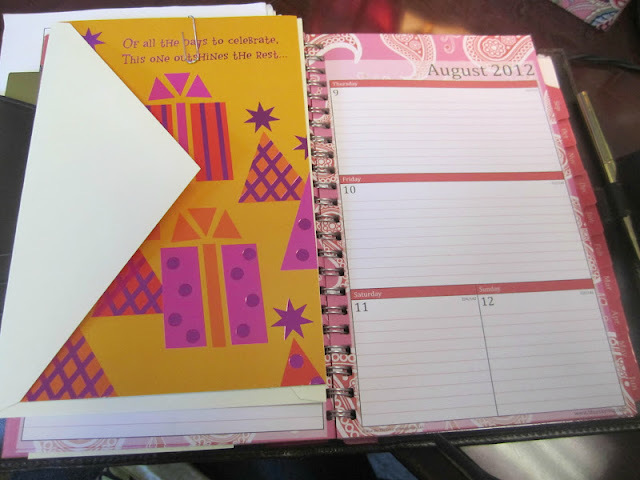 This post was great- love the bday card idea and the sweet treat- brilliant! The dolla-dolla? Made my day! 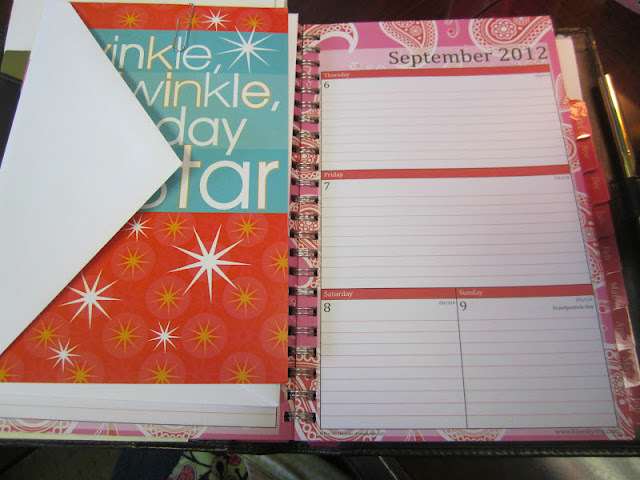 Fabulous idea and I'm loving your planner! Love the card idea!!! I seem to go through cycles of remembering/forgetting and then feeling bad. And, that cake batter ice cream....bet that made the finale that much sweeter!!! I have a few cards on hand... but you have now inspired me to stock up!